Family language dominates Paul’s instructions on how to relate to the different ages and sexes in the Christian community, but this is no surprise given our Lord’s teaching. Jesus Himself sets the stage for the apostle’s words in 1 Timothy 5:1–2 as He refers to those who do His will as His true family (Mark 3:31–35). If Christ regards His followers as His mother and brothers, how much more should we look at our fellow believers as our parents and siblings? As he discusses relationships within the church family, Paul also guides the covenant community in its treatment of younger men. The apostle tells pastors, and by extension all Christians, to regard younger men as brothers (1 Tim. 5:1). Much can be said about what this involves, but surely the brotherly examples in Scripture give us both negative and positive patterns to follow. From Joseph’s life, for example, we can see that to treat men as brothers means that we not envy those who appear to be more gifted than we are (Gen. 37:4, 12–36). Joseph himself also shows us that to treat men as brothers entails us forgiving them when they repent and seeking their welfare even if they have hurt us (chap. 45). Older women in the church, the apostle informs us, are to be regarded as mothers (1 Tim. 5:2). Certainly this means that we esteem them and submit to them when appropriate in accordance with the commandment to honor our mothers (Deut. 5:16). Avoiding foolishness lest we shame the older women in our congregation is also important (Prov. 10:1). Ruth’s example shows us that we must care for our mothers in the faith when no one else will (Ruth 1:15–18), as Paul highlights in his treatment of widows in 1 Timothy 5:3–16. Finally, all men are to regard the younger Christian women as sisters “in all purity” (v. 2). 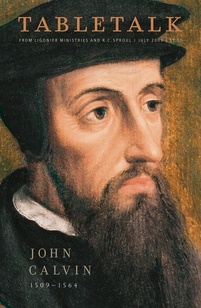 What the apostle demands here, John Calvin says, is “a chaste gravity, which shall shine throughout all their [interactions] and conversations; so that he may more freely converse with young persons, without any unfavorable reports.” Paul wisely counsels young Timothy to take care in how he relates to young women lest he open himself up to sexual temptation, whether from the women or his own lusts.